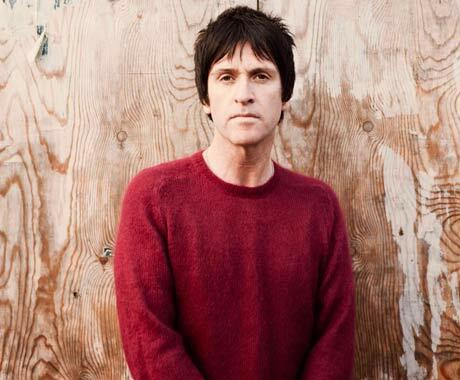 Smiths-guitarist-gone-solo Johnny Marr is in the midst of a North American tour to promote his album Playland, but now he's cancelled a couple of his shows in Canada. Having played in Edmonton and Calgary this past week, he was due to make his way to Victoria, Vancouver and Seattle over the next few days. These three upcoming shows have been cancelled, however, with an announcement on his website citing "personal family reasons." It seems these are flat-out cancellations rather than postponements, although the announcement promises, "We will do everything we can to reschedule the dates." In the meantime, tickets can be refunded at point of purchase. Marr said in a statement, "I'm really disappointed to not be able to play the shows. The touring has been so enjoyable for me and the band and the audiences have been great everywhere. If it was about just me being unwell I would've found a way to continue as I did when I broke my hand earlier in the year, but to not be there for one of my family is not right. Thank you to everyone for the kind messages. See you soon. Johnny. x"
As the schedule currently stands, Marr is set to resume touring on December 10 in Portland, OR. The status of the rest of the trek isn't set in stone, since the announcement adds, "Further information about the dates beyond Seattle will be given out shortly." See his dates below. UPDATE: Marr has now confirmed that all his remaining North American tour dates have been cancelled.